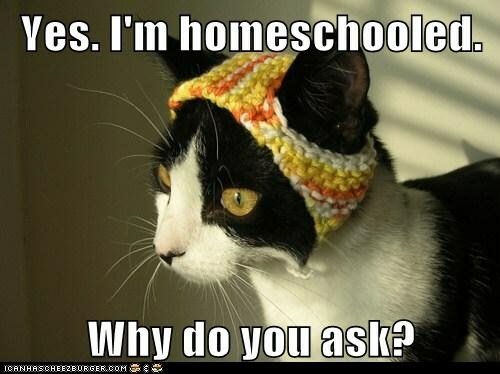 So I’ve been thinking about homeschooling my kids. This is only funny to people who know me really, really well. Because me? Not the best teacher. I’m too impatient and easily distracted (bird!). And I barely graduated high school. Like one-point-less-on-my-GPA-and-I-woulda-been-repeating-senior-year barely. Which is why, when the subject of home-schooling ever came up, I’d give some variation of the “I’m sure it’s great for you but it wouldn’t work for me” answer. But for the past year, I feel like I’ve kept getting nudged in that direction, as if a deer were gently pressing it’s nose against my back to lead me down a certain mountain path. Nothing too aggressive. Wouldn’t want to spook me. Yes, to answer your unspoken question, some of my reasons are politically motivated. I ain’t loving what I’m hearing about Common Core and it’s apparent predilection for indoctrination. And the data-mining? Yikes! The rampant political correctness that leads to home-made lunches being inspected and taken way or young boys being expelled for making gun-fingers? Yeesh! Those problems, however, are abstract for me. I haven’t seen much of that going on at Alta View Elementary, where Griffin is attending Kindergarten. In fact, so far I LOVE Alta View. They’ve been every thing I hoped and dreamed an elementary school could be. And I’m so excited for him to start Spanish Immersion next year. But … nudge, nudge … I saw this great article about why doctors and lawyers are turning to homeschooling and I’ve looked at some curriculum options they have and did you know that on average, home-schooled kids test considerably higher on standardized tests than their public school counterparts? So to get that deer’s nose off my back, I really thought about what was preventing me from homeschooling. Then I really analyzed how valid those concerns were. 1. The stigma: If I pull my kids out of school, what will the neighbors think!? *bites nails* To this the deer says, if that’s your only reason, grow a backbone. No one knows what’s best for your kids better than you. If you’re deciding your kids’ fate based on what other people think you should do, you’ll end up exhausted and your kids will end up in therapy. 2. TIME! I ain’t gonna lie. I have often DREAMED of the day when my kids are in school and I have seven blissful hours (minus the commute) all to myself! When I had a job, this seemed like the end goal – a waiting game. If I could make it to those years, my job would be a cake-walk compared to the nightmare of juggling work and kids 24 hours a day, seven days a week. But then I got laid off so … now I just want the free time to do laundry in peace, without being screamed at every five minutes. The deer says first off, in about eighteen years, I’ll have all the free time I could possibly want and that time will go faster than I could ever imagine. He (she? The deer has not revealed it’s gender and I’m too polite to look) also says between the commuting and school-related errand-running, how much time am I saving? Plus a little research revealed that home schooling doesn’t take seven hours, like public schooling. You can generally get all the work done in four hours. And then PLAY for the rest of the DAY! Plus, I hate to admit this because it makes me sound so clingy, but the idea of Griffin being gone ALL DAY at school every day breaks my heart. It just doesn’t feel natural that he should spend nearly HALF his childhood in a classroom. Add to that the homework that he’ll have to do once he finally gets home, and when do I get to hang with my kid!? Maybe it wouldn’t be like that in first grade, but I intend to push him to do his academic best, to take the hard classes, to excel on every assignment. So that mudslide of homework is definitely in our future. Times that by the other two kids I got here and the potential time away from them doesn’t feel so luxurious anymore. 3. The smarts: Do I think I’m as smart and capable as a teacher, someone who has gone to college and studied how to impart knowledge and wisdom to the masses? Er, no. Could I walk into a classroom of 30 kids and teach them the multiplication tables? Er, no. But, the deer nudges, could I teach MY kids the multiplication tables, one on one, using their strengths and individual learning styles to their advantage? That’s not so crazy. In fact, I wonder if a mom could do as good a job if not better than a teacher if she only has her own children to teach, rather than a full classroom of kids with different learning styles and abilities. But could I be consistent? Could I follow through and be fair and find a way to get my kids to sit still and pay attention when they need to? Because, I don’t know if you’ve ever seen me in church, but so far, I can’t even get my kids to sit still for an hour once a week, let alone four hours every day. And how do I set up a classroom in my house? And keep track of the schoolwork? The deer tells me the answers I seek are on Pinterest. 4.The social factor: It’s like currency – being able to talk to people, fit in with different groups, make friends. People who have good social skills are much happier and more successful than those who don’t know how to navigate the culture around them. So it stands to reason that if I keep my kids in my living room all day every day — their only interaction with the outside world a quick peek through a dusty window before I catch them and scream at them to GET AWAY! GET AWAY from the window before you see something out there I can’t protect you from!! — then maybe I’m severely handicapping them in a fast-moving and competitive world. The deer reminds me – kids who homeschool are entitled to attend and participate in all the activities available at their local school. Wanna tryout for the play? Sure. Join the basketball team? Go ahead. And apparently, these homeschoolers stick together – you can participate in homeschool co-ops where you teach along with other families; do field trips together; form special clubs. Also, the deer nudges, because you’re spending so much less time getting the learning in, you have more time to take them out in the world, to sign them up for activities, sports, field trips, visits to the senior center or soup kitchens. And, the deer points out — how does putting children in a room with a bunch of kids their own age make them more socially adept? Wouldn’t a child who is exposed to people from lots of different age brackets, lots of different backgrounds and experiences, be more prepared to enter different situations? And isn’t it true that when you group kids by age, peer pressure becomes considerably more intense? 5. Now the deer knows he’s winning because my next question is: What if it’s fun? What if I enjoy teaching my children; watching them learn and grow? Finding what excites them and following that? Discovering their strengths and how to magnify them; figuring out their weaknesses and how to minimize them. I mentioned before that I wasn’t great at school. But the reason wasn’t that I was stupid – I just fell through the cracks, got lost in the shuffle. What if that happened to one of my kids and they never got close to realizing their potential? What if this was a second chance for me to learn alongside them all the things I missed as I was stumbling through my own education? 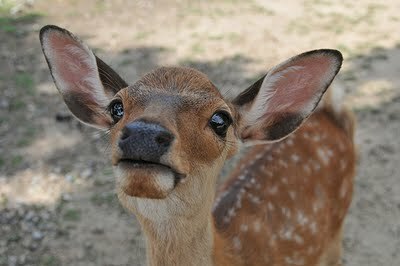 The deer nods his head wisely. BUT. But Griffin loves school. He only goes for three hours a day and is in a fairly protected environment, but still. Loves. And I think AJ would have just as much fun making new friends and running circles around her future teachers. For all the scary news stories and dire warnings, for all the information about how America’s children keep falling behind the rest of the world, is public school really that bad? Especially in suburban Utah where I’m guaranteed an army of involved moms who are just as concerned about giving their kids a good education as I am? Maybe I’m over-analyzing the public school system. 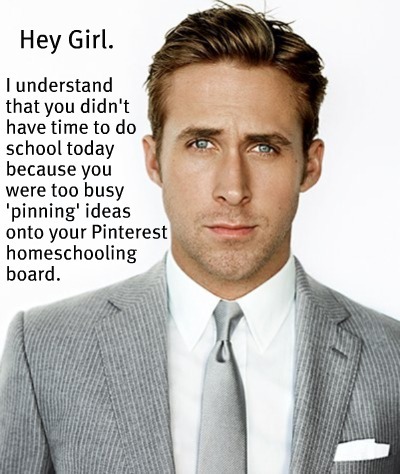 Maybe I’m romanticizing homeschooling. I’m still researching and considering and hemming and hawing. At this point, it really could go either way. It will be interesting to see where we end up.